La Paz is an extraordinary city. The fact that it lies in a narrow valley between 3200 and 4000 m.a.s.l. represents a challenge to any infrastructure planning. The few main avenues are almost always blocked – either by traffic jams or demonstrations, road blocks and festivities. In 2013 the construction of a new public transport solution began – El Teleférico. 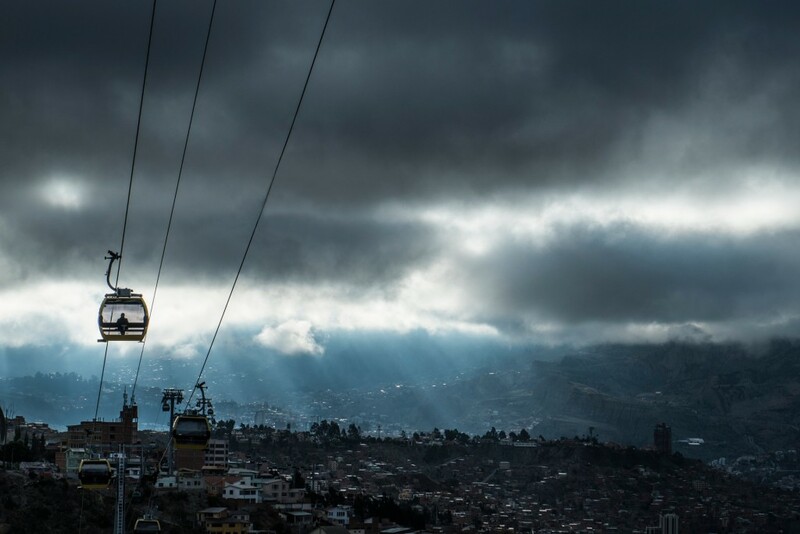 Three cable car lines had been constructed in little over a year, offering an interesting and practical alternative for the connection of the overcrowded cities of La Paz and the even bigger El Alto. On January 26th 2015 the Bolivian government confirmed its plans to build 6 additional lines worth 450 Million USD. This entry was posted in The story behind the picture and tagged Bolivia, cable car, El Alto, La Paz.